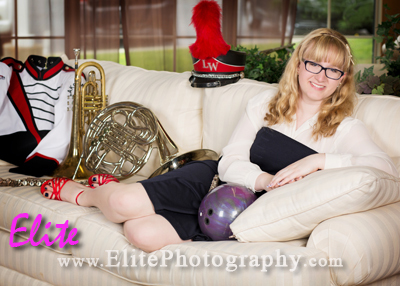 My daughter is in marching band. 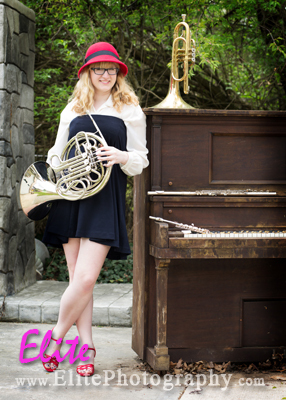 She plays mellophone in MB and french horn in orchestra band. She can also play flute and piccolo. 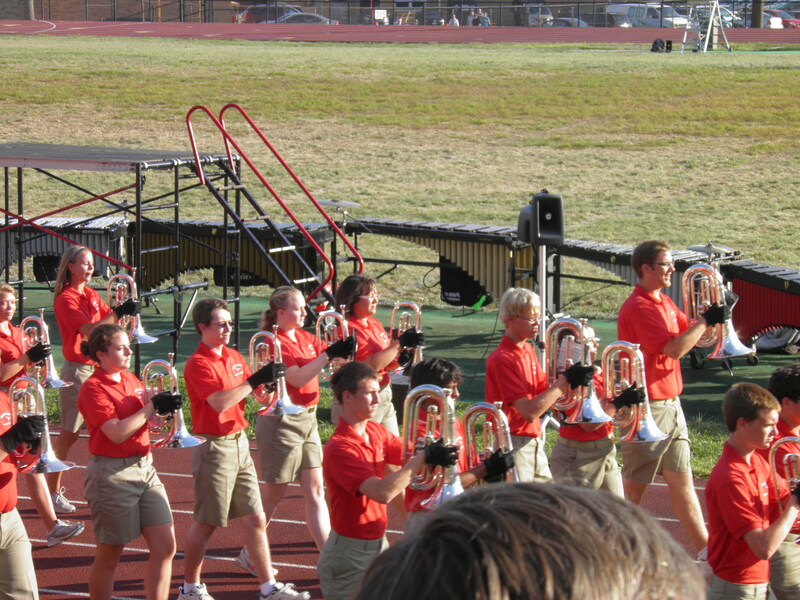 Every summer, the high school marching band kids go through a little thing called Band Camp. For the first week, they rehearse from 7am til noon. Second week, they are working from 7am til 10pm with occasional social things thrown in. Third week, they are back to 7am to noon. Then they have a couple more multi-hour practices and then school starts. Once school starts, they rehearse every Tuesday and Thursday night from 6-9pm on the football field and every Wednesday afternoon from 3-5pm on the black top in the parking lot. 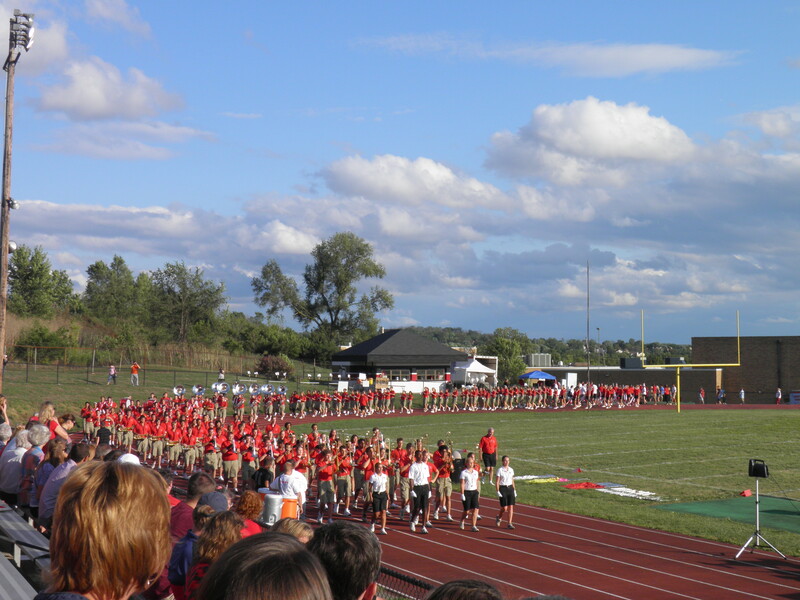 There are 240-ish kids in our marching band. We have what is, in my opinion, the best band director in the state and maybe the country. Our band wins awards and marches in big famous parades and tours Europe and stuff like that. Last week while our kids were busting their butts in 90 degree heat for roughly 13 hours per day, the soccer coach at our high school complained to the athletic director that on Tuesday and Thursday nights, our MB rehearsals bother him because the big loud metronome they use when they are learning is irritating to him. Awwww, booo hoooo…. So our athletic director told our band director that we could not use the football field on Tues and Thurs because we irritate the soccer coach who is playing on an adjacent field. They ended up working it out and we still get screwed, but not as thoroughly as we originally thought we would. This is the scenario, the following is what I would like to say to the soccer coach AND the athletic director. Our marching band kids are athletes. They stretch, march forward, backward and sideways, all the while playing difficult music that they must memorize. Most of them lose significant amounts of weight during their training season and sustain athletic injuries like torn achilles tendons, muscle pulls and cuts and bruises. One of our color guard girls had a sabre cracked into the underside of her chin last week that required stitches on one part of the injury and glue on the other part. She sat holding ice on the wound and watched what was happening so she would not be behind and she was there bright and early the next morning to continue working. If our kids do MB for two years in a row they are excused from a year of gym classes, same as soccer players, football players, baseball players and cheerleaders et.al. Marching band kids have parents who pay taxes on their homes. Thousands of dollars a year of taxes on their homes, with the overwhelming majority of said money going to the school district to pay for educating our kids and providing facilities for them to use for their various activities. There are waaay more MB parents paying those taxes than soccer parents. Our kids have every right to use the facilities that we pay for. Our marching band is award-winning. BIG awards. Grand Champions at all but one of the competitions we attended last year. Our marching band wins so many trophies in fact during the course of a season, that there is not room for them at the school and kids who win various marching band awards get to choose from the mountain of trophies and take one home at the end of the season. Can the soccer team say that? Nope. 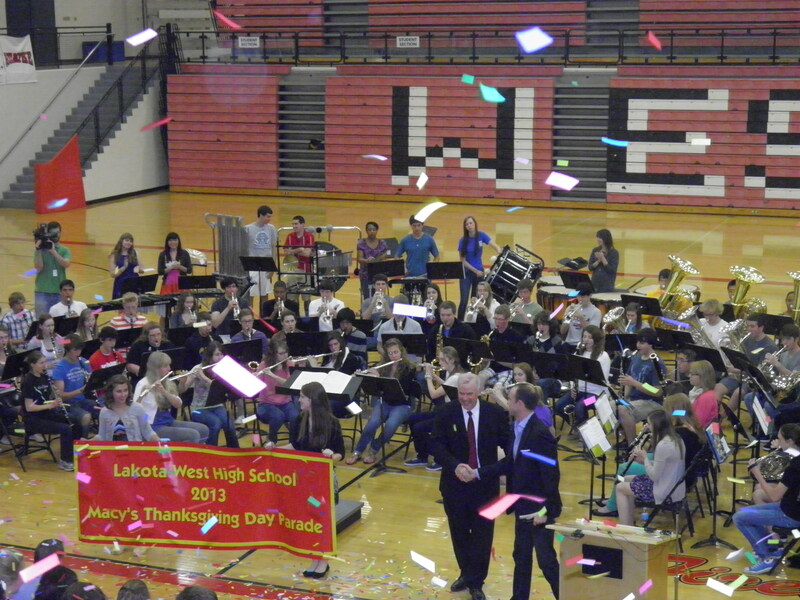 Our marching band has performed in the Rose Bowl parade, toured Europe and is going to the Macy’s Thanksgiving Day parade in 2013. Hundreds of high school bands applied to be a part of that parade and ours was one of only 12 I think, that were accepted. Has the soccer team done anything like that? Nope. 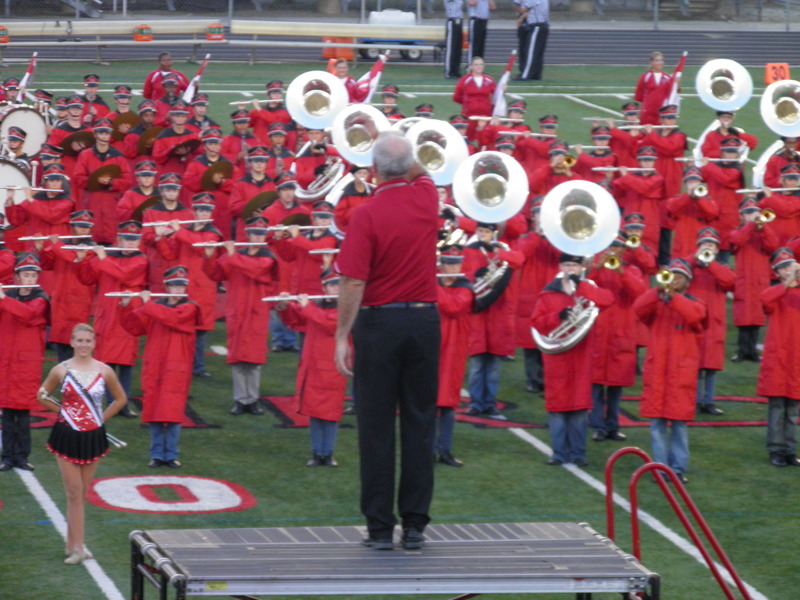 Our marching band has given our school district countless opportunities to demonstrate to the world the excellence of our schools and our students. When our band marches into a stadium for a competition, you can hear everyone in the stands groan, because they know that in all likelihood, they don’t stand a chance against us. Can the soccer team say the same? My educated guess is, Nope. So, athletic whiners, if you don’t like Dr. Beat, go to Wal-mart and buy some earplugs. We have work to do and unfortunately for you apparently, we compete on football fields and in order to maintain our excellence, we need to practice on the football field. If the earplugs are not enough, put your balls in a bag and go to the freshman building to play or practice or whatever you are doing. In order for US to go to the other field, we have to use two large panel trucks to transport our equipment. It costs a fortune to move our stuff and since we are self-funded and get ZERO dollars from the district, we can’t afford to do that twice a week. Your balls will fit in a trunk and your kid’s parents can drop them off at the other field. 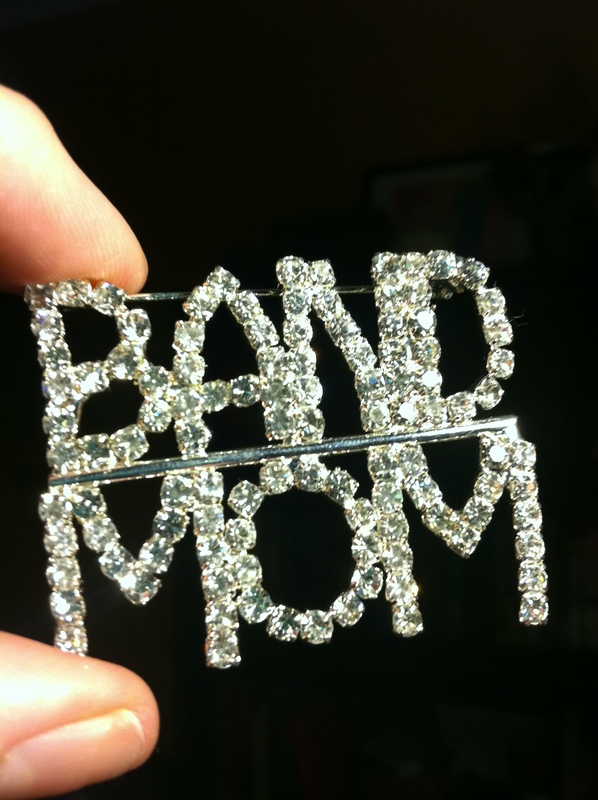 Band geeks of the world unite! No more second fiddle to sports! We ARE a sport and we are an EXCELLENT team that deserves to use the facilities that we pay for just as much as people who play with balls.